Rory Tingle in Student Life on 12 June, 2015. 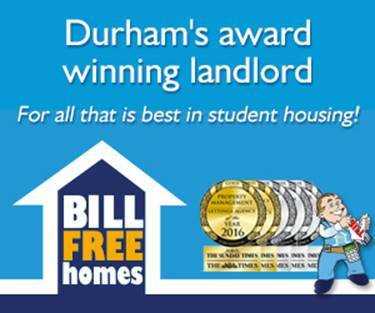 A local map creator and blogger has produced a map of Durham City to show the varying risk levels for different parts of the riverbank, using data taken from a recent report on river safety. 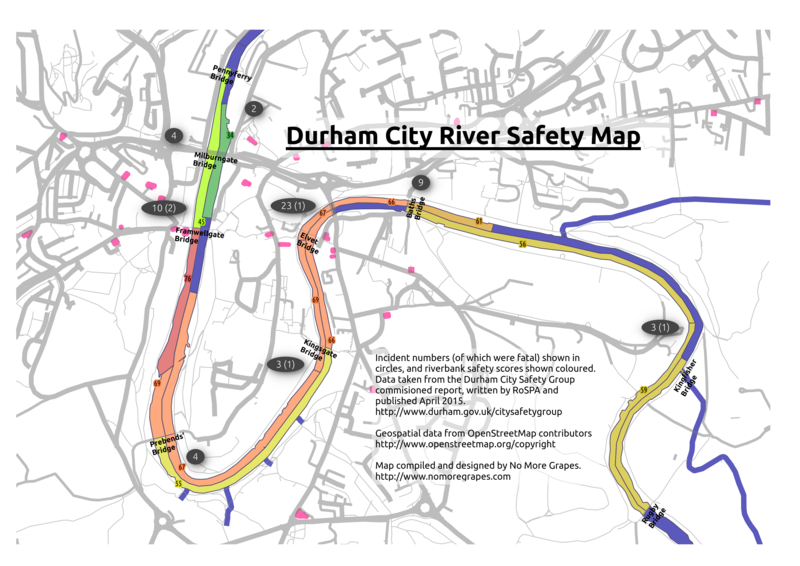 The Durham City River Safety Map, by Gregory Marler, is based on statistics from the River Safety Review, written by the Royal Society for the Prevention of Accidents (RoSPA) for the Durham City Safety Group in the aftermath of three student fatalities in the River Wear over the last fourteen months. The map uses green, yellow and red colouring to match the low, medium and high risk groupings for sections of the river as given in the report, with the addition of darker shading to indicate more dangerous areas. The total incidents in the last five years, shown in generalised locations, are given in the circles, with the number of fatalities in brackets. The RoSPA risk rating for each is provided in the shaded areas. Medium scores range from 41 to 70, and the scale goes up to 100. The section from Framwellgate to Mill House Weir fell in the “high risk” category, with a score of 100. He is currently compiling a database of street-level photography of areas of the riverbank which has raised safety concerns. You can view the images here.